You are currently viewing Archived reports for the week of 28 September-4 October 2016. 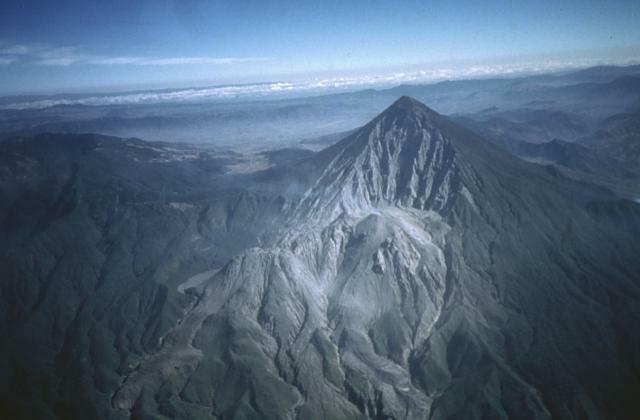 The Unidad Estatal de Protección Civil de Colima reported that on 26 September seismicity at Colima increased, and crater incandescence was observed later that day. 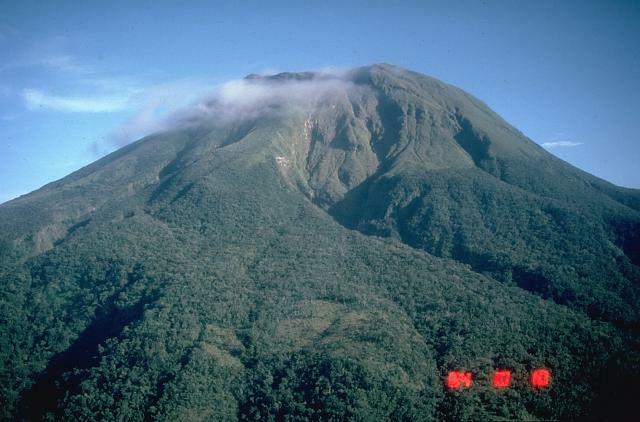 On 27 September small landslides originating from a new and growing lava dome traveled 100 m down the S flank. The exclusion zone was increased from 5 to 10 km in the Montegrande canyon; a 5-km exclusion zone was maintained in the other areas. According to news articles, incandescent landslides traveled down the S and SE flanks during 29 September-1 October. Gas-and-ash plumes rose 4 km and caused ashfall in nearby areas including La Becererra, La Yerbabuena, San Antonio, and El Jabali in the municipality of Comala, Montitlán in the municipality of Cuauhtémoc, and Juan Barragan in Tonila, Jalisco. On 1 October the Colima State government stated that the communities of La Yerbabuena (80 people) and La Becerrera (230 people) were preemptively evacuated, and the exclusion zone was extended to 12 km except on the Jalisco side (maintained at 7.5 km). A news article noted that Juan Barragan was also evacuated. The Washington VAAC reported that on 29 September gas-and-steam emission possibly containing minor amounts of ash rose to an altitude of 4.9 km (16,000 ft) a.s.l. and drifted NW. On 30 September the webcam showed intense activity and crater incandescence, and gas-and-steam emissions that may have contained ash drifting WNW. An intense thermal anomaly was visible in short-wave infrared satellite images. Later that day an ash plume rose to an altitude of 5.8 km (19,000 ft) a.s.l. and drifted 35 km W. Possible emissions with ash were recorded by the webcam on 1 October; weather clouds obscured views of the crater. An ash plume detected in satellite images drifted almost 40 km S and SW. Later that day the webcam recorded explosions and pyroclastic flows. 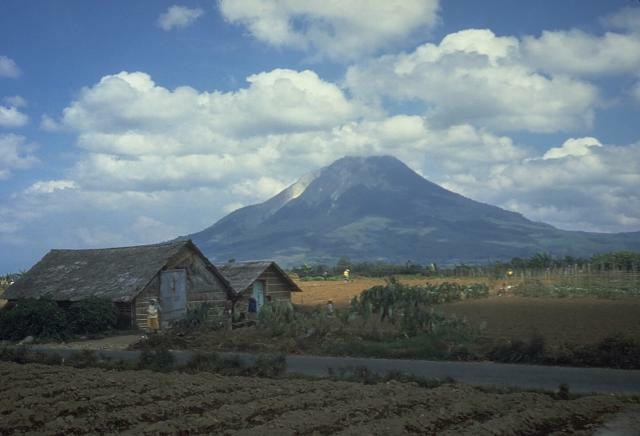 On 2 October ash plumes rose to altitudes of 6.1-8.2 km (20,000-27,000 ft) a.s.l. and drifted SW and W. Emissions later that day were mostly comprised of gas and steam; seismicity decreased, though a thermal anomaly continued to be detected in satellite images. On 3 October ash plumes rose to altitudes of 5.5-6.4 km (18,000-21,000 ft) a.s.l. and drifted 25-40 km SW and SWW. Ashfall was reported in areas on the S and SW flanks. Based on webcam views ash emissions rose to an estimated altitude of 5.5 km (18,000 ft) a.s.l. and drifted S on 4 October. 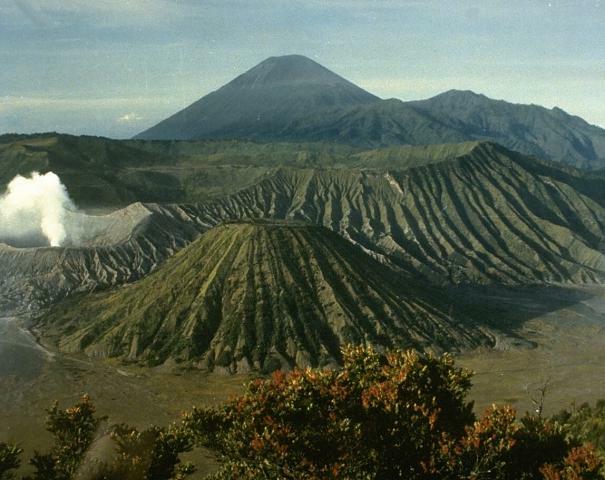 Based on analyses of satellite images and information from PVMBG, the Darwin VAAC reported that on 29 September and 1 October ash plumes from Tengger Caldera’s Bromo cone rose to an altitude of 2.7 km (9,000 ft) a.s.l. and drifted E and SE. 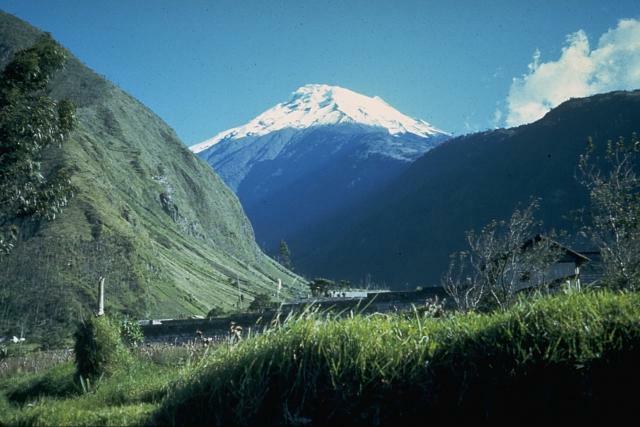 IG reported that during 27 September-4 October seismic activity at Tungurahua remained at moderate levels, characterized by 1-8 long-period earthquakes and up to three volcano-tectonic events per day. 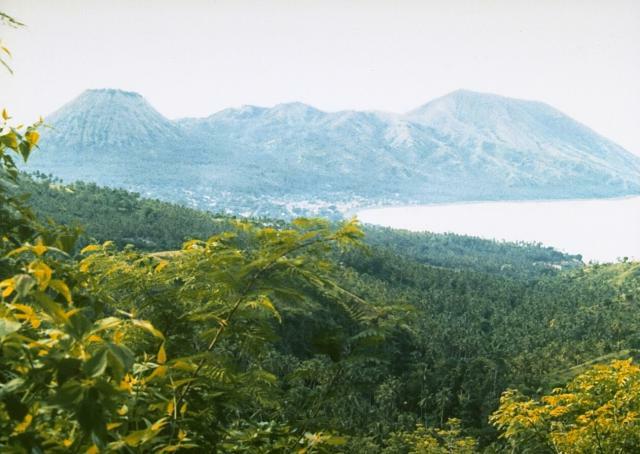 An hour-long period of tremor was recorded on 1 October. Minor fumarolic emissions rose above the crater rim. 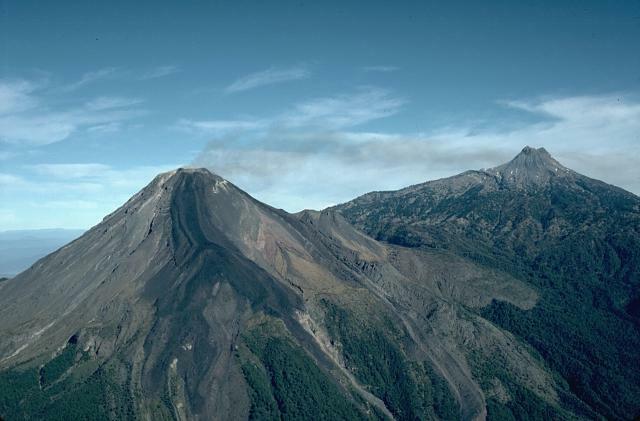 According to IGP's Observatorio Vulcanológico del Sur (OVS) seismicity at Ubinas increased during 9-14 September, characterized by an increased number of volcano-tectonic and hybrid events. 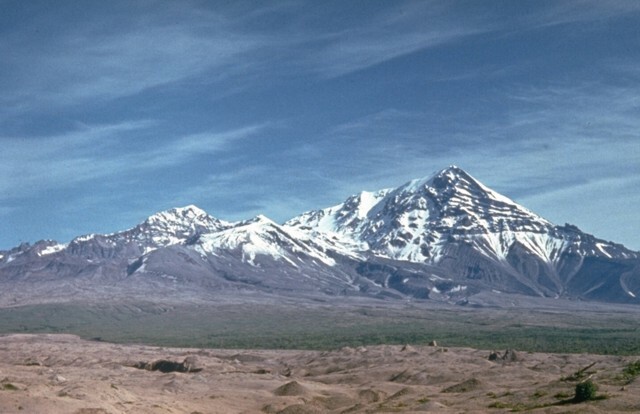 Volcano-tectonic vents also became more intense. A small thermal anomaly was detected on 20 September. According to a news article, an "exhalation" occurred at 1921 on 2 October, and was followed by explosions detected at 2250 that same day, and 0424 and 0552 on 3 October. The largest explosion, at 2250 on 2 October, emitted a dense ash plume that rose 1.7 km and drifted 10 km NE and NW, causing ashfall in Santa Rosa de Phara and Yanapuqui. Based on analyses of satellite imagery and model data, the Darwin VAAC reported that during 29 September-2 October ash plumes from Bagana rose to an altitude of 2.4 km (8,000 ft) a.s.l. and drifted 45-65 km SE and W.
PHIVOLCS reported that during 0650-1240 on 1 October voluminous white-to-grayish emissions rose 200 m from vents on Bulusan's SE flank and drifted SE. Minor amounts of ash fell in the barangays of San Rafael, San Roque, and San Jose, in the municipality of Bulusan. The Alert Level remained at 1, indicating abnormal conditions and a 4-km-radius Permanent Danger Zone (PDZ). Based on analyses of satellite imagery, information from PVMBG, and model data, the Darwin VAAC reported that during 28-29 September and 1-4 October ash plumes from Dukono rose to altitudes of 1.8-2.4 km (6,000-8,000 ft) a.s.l. 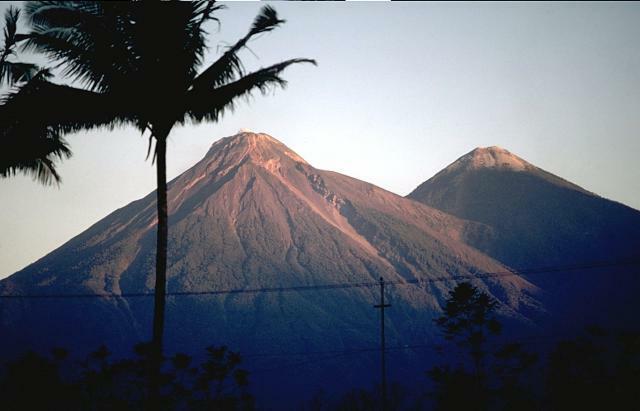 and drifted SW, S, and E.
Based on INSIVUMEH reports, CONRED stated that beginning at 0730 on 27 September loud explosions at Fuego generated ash plumes that rose 1 km above the crater rim and drifted more than 15 km W and SW. After about 36 hours of elevated activity, the 13th Strombolian episode in 2016, Fuego returned to more normal levels. On 28 September there were 4-6 explosions per hour recorded, producing ash plumes that rose 550-650 m and drifted 8-12 km W and SW. Lava flows in the Las Lajas (SE) and Santa Teresa (W) drainages had stalled. Explosions during 30 September-1 October and 3-4 October generated ash plumes that rose as high as 1.1 km and drifted 7-13 km W, SW, and S. During 3-4 October explosions produced shock waves and ashfall in Morelia (10 km SW). Incandescent material was ejected 300 m high, and block avalanches reached vegetated areas. During 28 September-4 October HVO reported that the lava lake continued to rise and fall, circulate, and spatter in Kilauea’s Overlook vent. 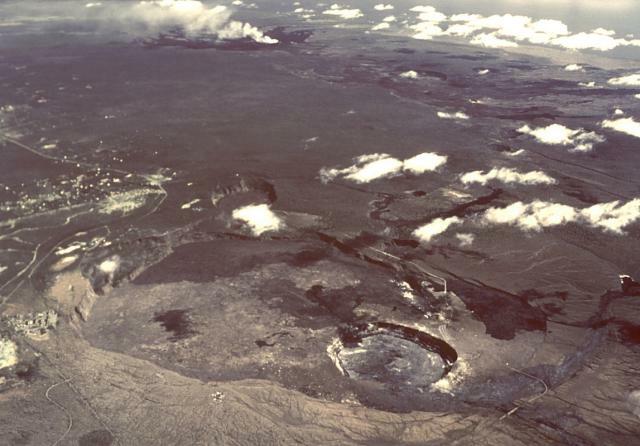 The lake level rose as high as 10 m below the Halema'uma'u floor (on 1 October), and was sometimes visible from the Jaggar Museum (NW rim of Kilauea Caldera). Webcams recorded incandescence from long-active sources within Pu'u 'O'o Crater. The 61G lava flow, originating from a vent on Pu'u 'O'o Crater's E flank, continued to enter the ocean at multiple locations near Kamokuna. Scattered breakouts were active 2 km inland from the coast. 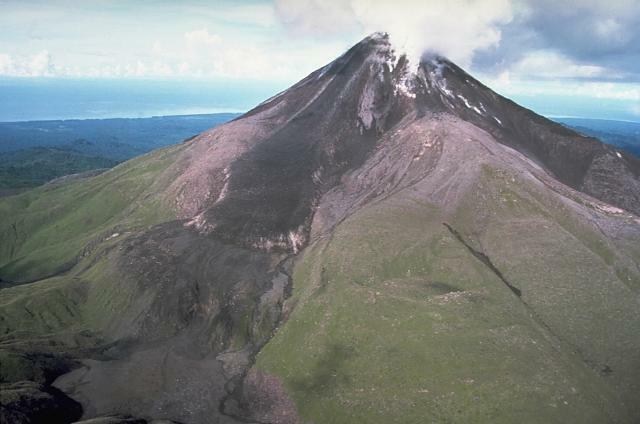 KVERT reported that a Strombolian eruption at Klyuchevskoy continued during 23-30 September. Ash emissions rose from the summit crater and from the cinder cone in the Apakhonchich drainage on the E flank. 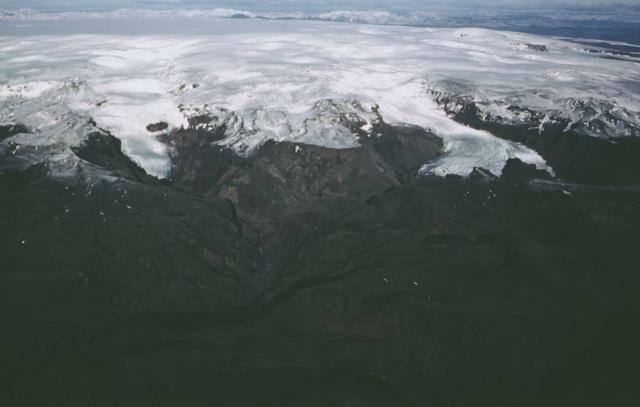 A lava flow traveled down the Apakhonchich drainage. 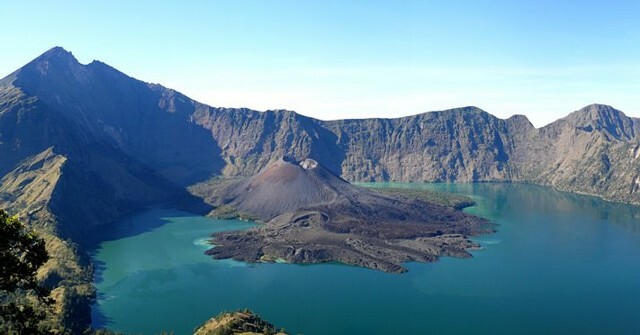 Satellite images showed a large and bright daily thermal anomaly at the volcano. During 23-24 September explosions generated ash plumes that rose as high as 6 km (19,700 ft) a.s.l. and drifted 165 km in multiple directions. The Aviation Color Code remained at Orange. 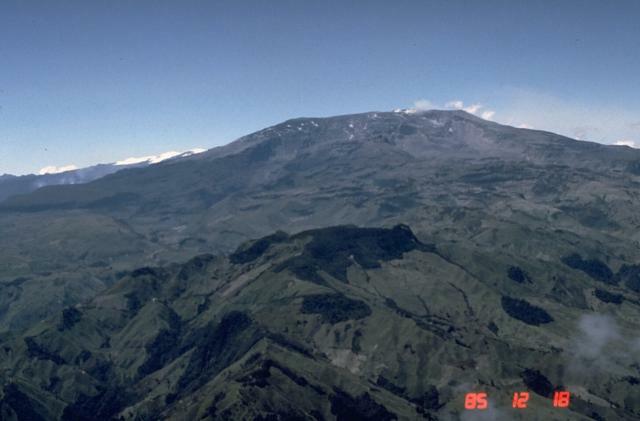 Servicio Geológico Colombiano’s (SGC) Observatorio Vulcanológico y Sismológico de Manizales reported that a webcam recorded an ash plume rising from Nevado del Ruiz at 0558 on 29 September. Based on information from the Bogota MWO, the Washington VAAC reported on the same day that an ash plume rose to an altitude of 6.1 km (20,000 ft) a.s.l. and drifted WSW. 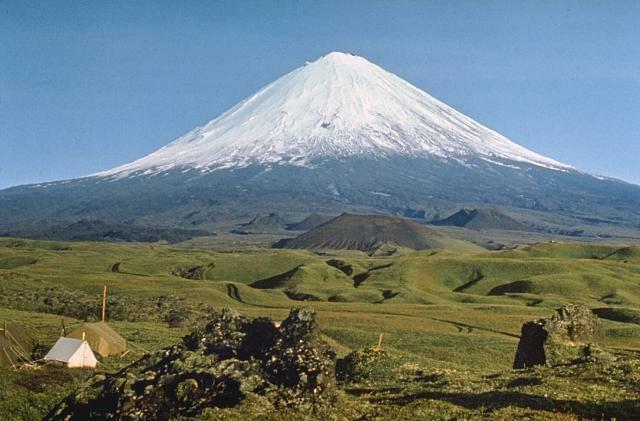 Later that day ASHTAM reports indicated an ash emission to an altitude of 8.5 km (28,000 ft) a.s.l. and drifted 13 km S, though cloud cover prevented webcam and satellite image views. An ash emission reported by the Bogota MWO rose to an altitude of 6.1 km (20,000 ft) a.s.l. and drifted NE on 3 October. The Alert Level remained at III (Yellow; the second lowest level on a four-color scale). 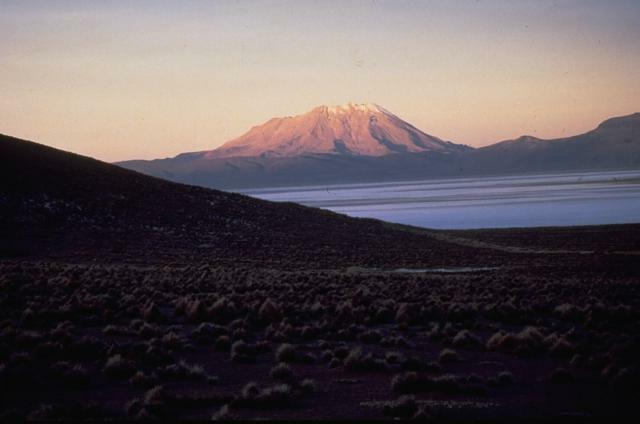 Based on webcam images and pilot observations, the Buenos Aires VAAC reported that on 3 October an ash emission from Nevados de Chillán drifted SE. 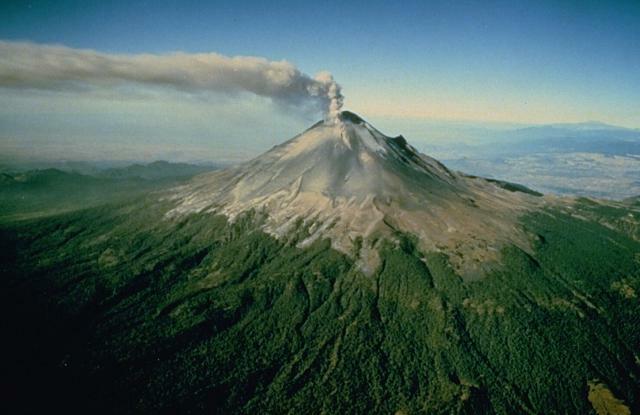 Each day during 28 September-4 October CENAPRED reported 125-389 steam, gas, and ash emissions from Popocatépetl. Cloud cover often prevented observations, though gas-and-steam plumes were visible daily. Crater incandescence was visible on some nights. An explosion at 0929 on 29 September produced a plume that drifted NW. Explosions were also detected at 1813 on 30 September, 1300 on 3 October, and 0231 and 0647 on 4 October. The Alert Level remained at Yellow, Phase Two. 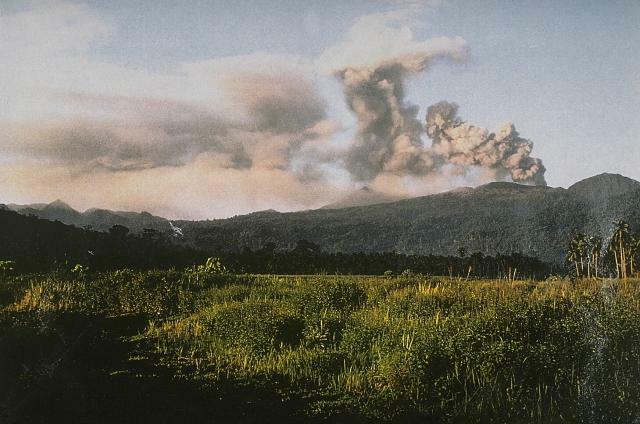 INSIVUMEH reported that during 30 September-1 October and 3-4 October explosions at Santa María's Santiaguito lava-dome complex generated ash plumes that rose 1.1 km above the complex and drifted SE, S, and SW. Local ashfall was reported in areas including in San Marcos (10 km SW), Palajunoj (18 km SSW), Loma Linda (6 km WSW), El Nuevo Palmar (12 km SSW), and Las Marías. 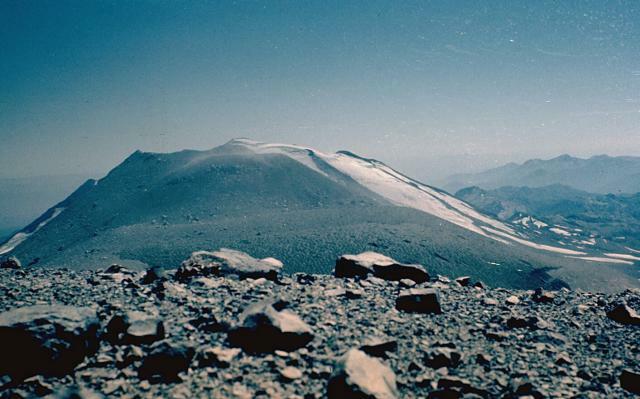 KVERT reported that during 23-30 September lava-dome extrusion onto Sheveluch’s N flank was accompanied by strong fumarolic activity, dome incandescence, ash explosions, and hot avalanches. Satellite images showed a daily thermal anomaly over the dome. Re-suspended ash formed a plume that drifted about 100 km SE and E during 28-29 September. The Aviation Color Code remained at Orange. Based on satellite images and ground reports from PVMBG, the Darwin VAAC reported that during 28-29 September ash plumes from Sinabung rose to altitudes of 3.6-3.9 km (12,000-13,000 ft) a.s.l. 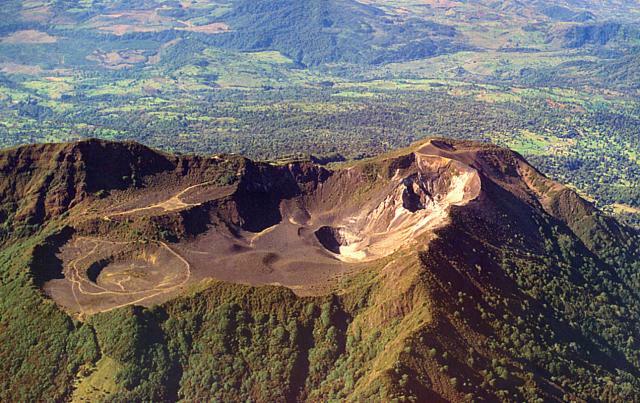 and drifted E.
OVSICORI-UNA reported that continuous ash emissions of varying intensity rose from Turrialba during 26-29 September. On the morning of 30 September emissions reduced and rose passively no more than 100 m above the crater. Tremor was constant but had a low amplitude. Later that day intermittent gas, steam, and ash plumes rose as high as 500 m and drifted W and SW. Intermittent eruptions during 2-3 October produced ash plumes that rose no higher than 1 km and drifted S, SSW, SW, and NNE. Ashfall and a sulfur odor were reported in multiple areas downwind. Activity increased at 0823 on 3 October, with almost continuous emissions rising at most 1 km, and continued steadily through 4 October.